Get professional-grade reliability and engineering in the GMC Savana. 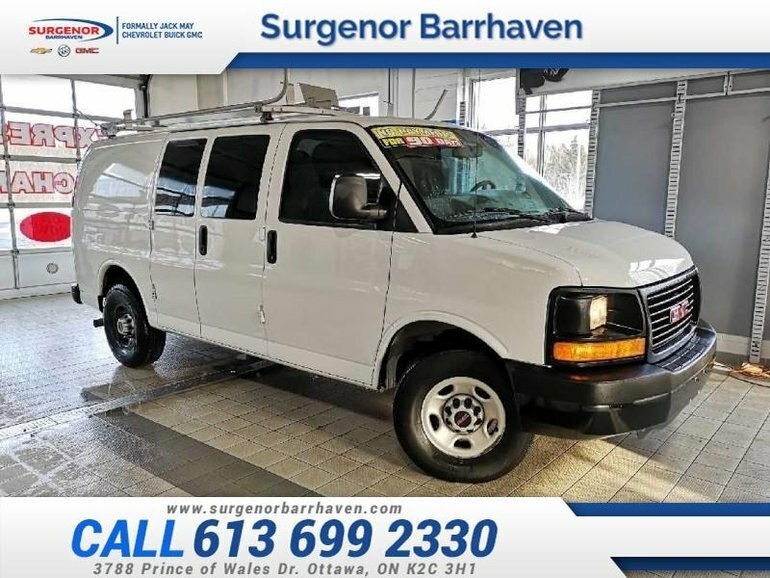 This 2015 GMC Savana Cargo Van is for sale today in Ottawa. If you need the capability of a truck, but a van body would come in handy, then the GMC Savana is perfect. The Savana is an old-fashioned work van that's thoroughly modern. This cargo van can haul a ton of payload and be customized to be a perfect fit for your business. It's just as at home on the highway as it is on the worksite. The GMC Savana is a no-nonsense, professional-grade van that gets the job done. This van has 108000 kms. It's white in colour. It has an automatic transmission and is powered by a 4.8L V8 16V MPFI OHV engine. It may have some remaining factory warranty, please check with dealer for details. Buy this vehicle now for the lowest bi-weekly payment of $125.16 with $0 down for 84 months @ 6.99% APR O.A.C. ( Plus applicable taxes - Plus applicable fees ). See dealer for details. Interested in the 2015 GMC Savana Cargo Van 135 WHEELBASE - $125.16 B/W ?